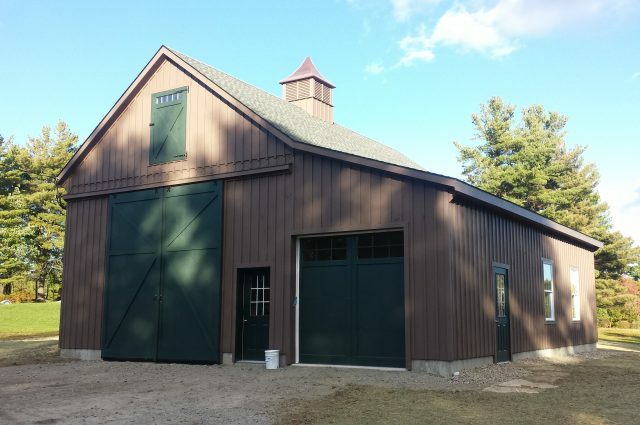 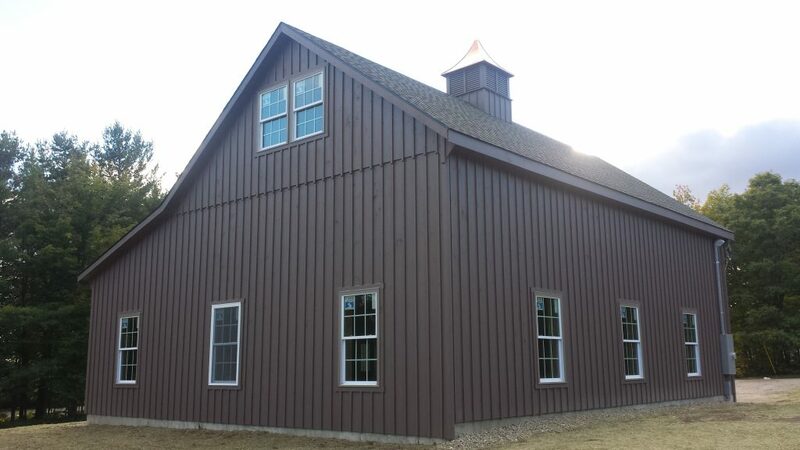 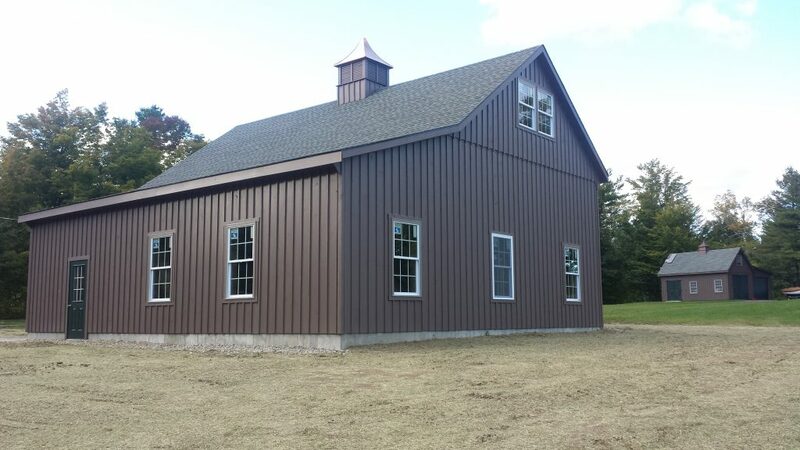 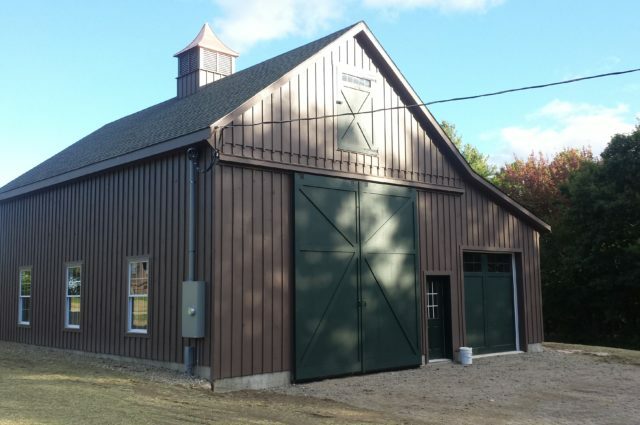 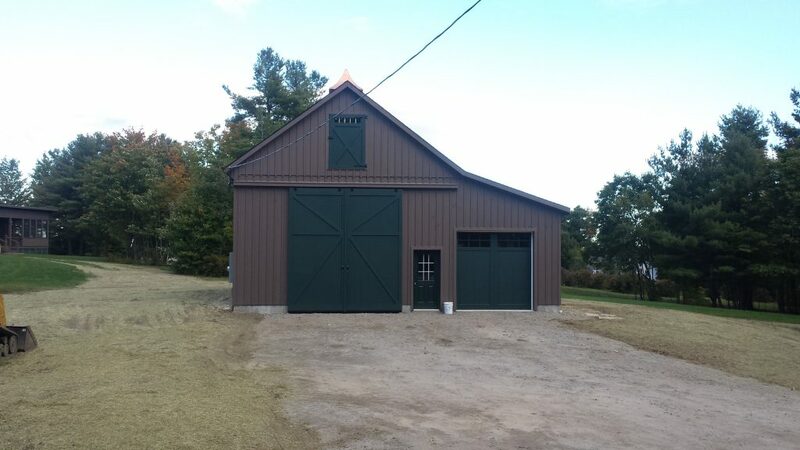 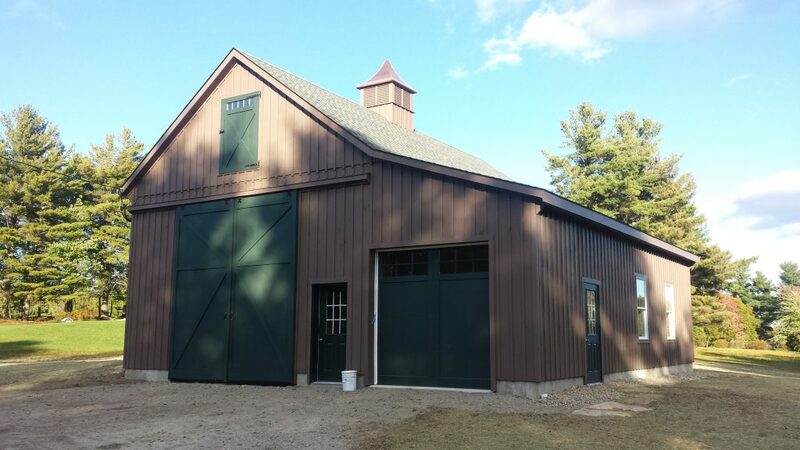 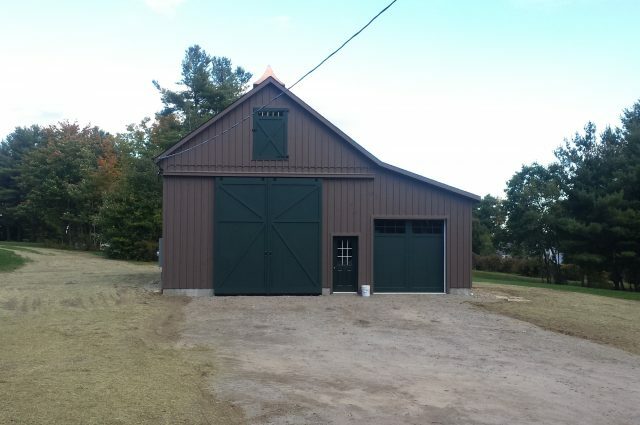 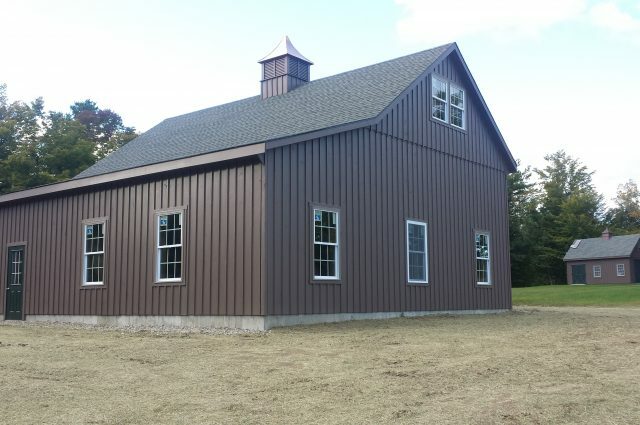 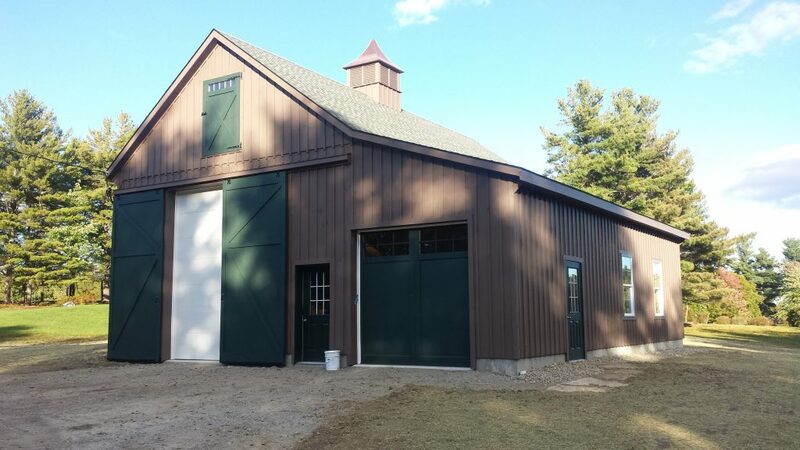 Finished with a slate colored shingle roof, this 24’x40’x15′ garage with an enclosed lean-to combines style with functionality. 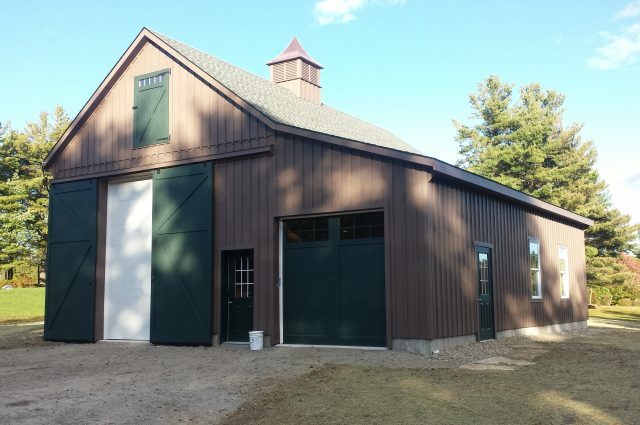 A custom brown stain, green painted doors, and a 48″cupola complete the exterior space. 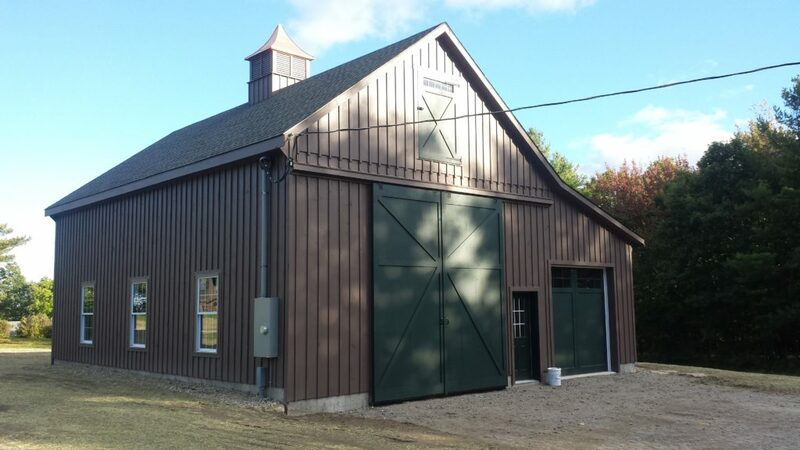 By request of the customer, we created a concrete floor and an L-shaped staircase leading to the loft. 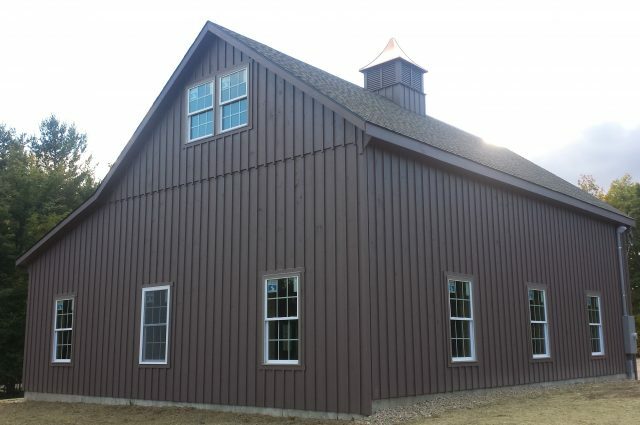 This structure also features an attic truss, an overhead garage door with windows, a loft door, and a set of beautiful sliding doors.